Limits viewing angle +/- 30° while also protecting the screen from scratches and damage. 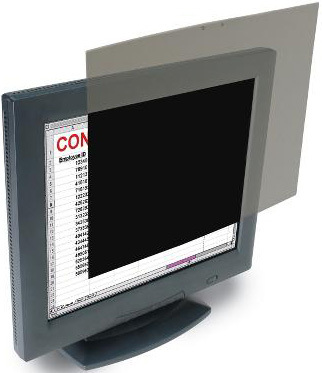 Easy to attach use included plastic tabs to stick the screen to your widescreen flat panel (TFT) or LCD monitor. Protect the sensitive information on your monitor while also protecting the screen itself from scratches and damage with the Kensington Privacy Screen for 22"/55.9cm Widescreen LCD Monitors. Great at close quarters for preventing prying eyes from seeing what's on your computer monitor.